At Collierville CDJR, we make sure every single vehicle on our lot is in the best condition possible. With our used vehicles, we road test them, put them through a thorough inspection, and make sure there are no lingering issues before we put them out for sale on our lot. So if you’re looking for a used vehicle near Memphis, you’ll find more than enough in terms of quality and trusted brands at our Chrysler, Dodge, Jeep, Ram dealership in Collierville. Let’s take a closer look at our used vehicle inspection process. We don’t want our customers driving around the streets of Southhaven, MS without proper coverage. That is why every one of our used cars come with a 3 month/3,000 mile warranty coverage program. No matter which vehicle you buy from us, new or used, we’ll make sure you have excellent warranty coverage. 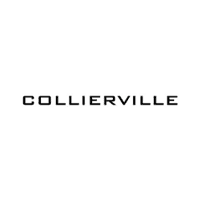 Visit us today in Collierville to explore our extensive inventory of used vehicles. We are confident that you’ll find something that you’ll want to drive home to Oxford, MS in no time. If you want to talk through financing options, schedule an appointment, or begin the purchasing process, simple contact us today! You can also view information on our Certified Pre-Owned Inspection Process as well!